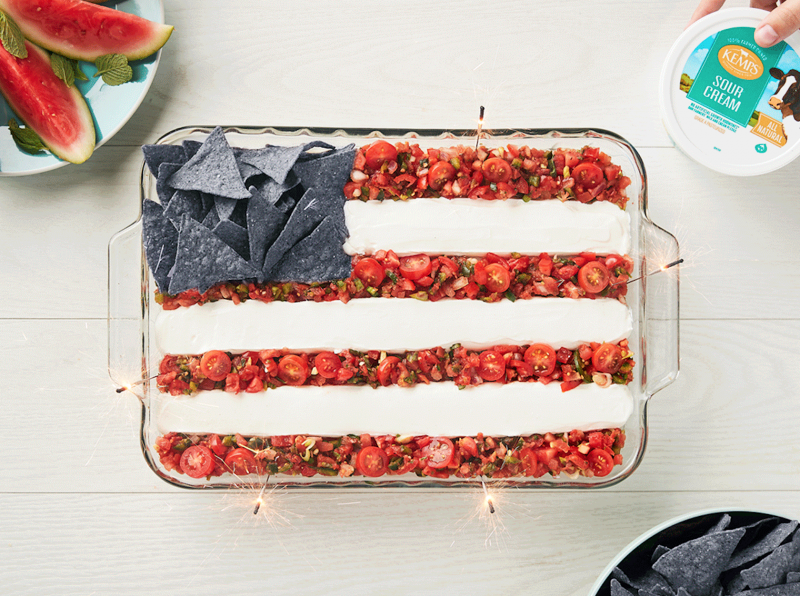 – Using a baggie, add the sour cream mixture, snip off the corner and begin squeezing to create the flag. Squeezing it into 3 lines (like a flag) on the top. Alternating with chopped tomatoes to create the flag! – Lastly, add the blue chips on the top left corner into the sour cream for dipping!